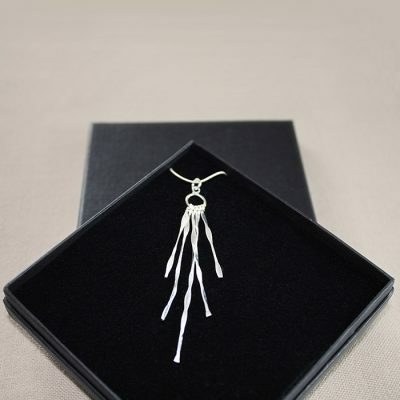 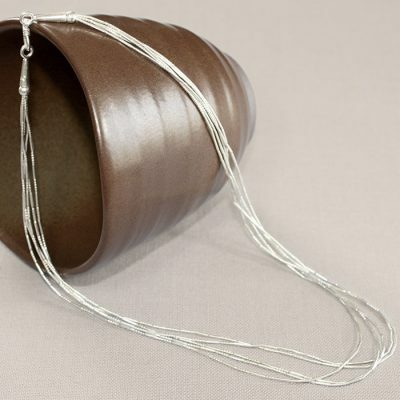 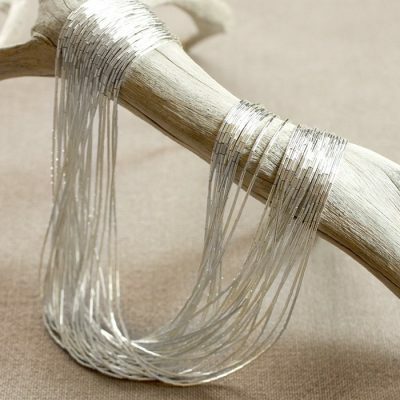 A truly unique sterling silver necklace. 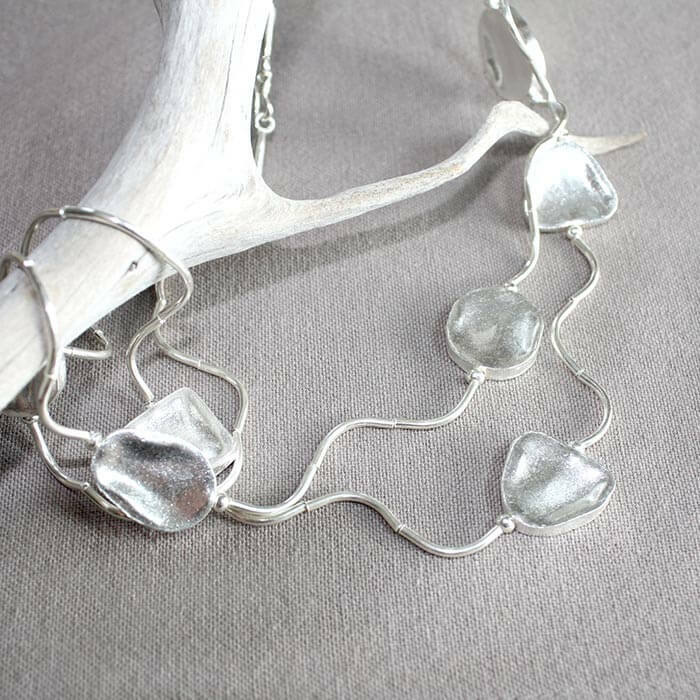 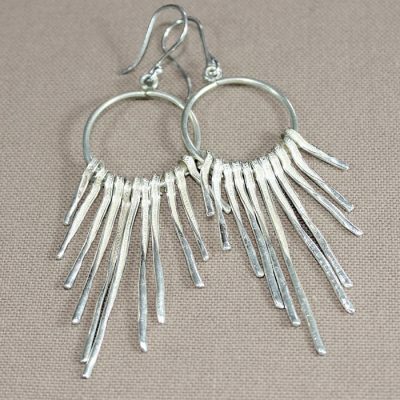 Two threaded chains intertwine, while the smooth sculpted shapes add depth and distinction to this stunning handcrafted piece. 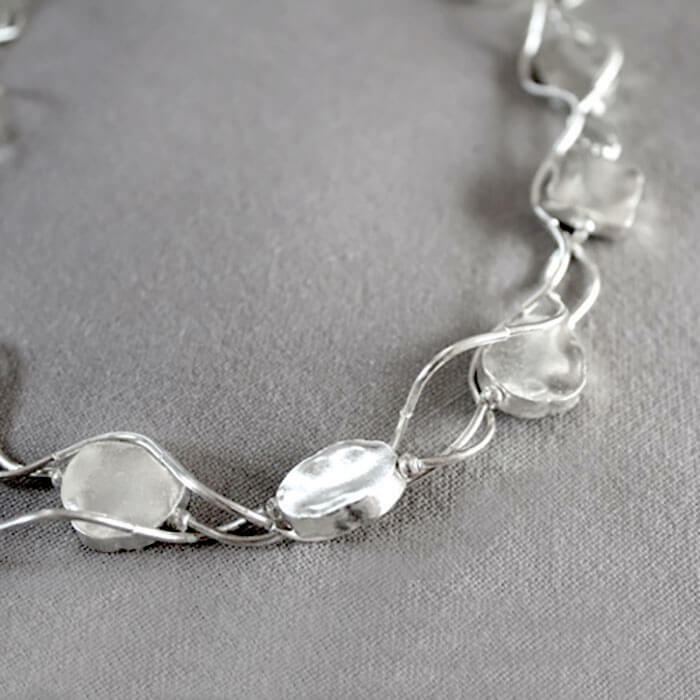 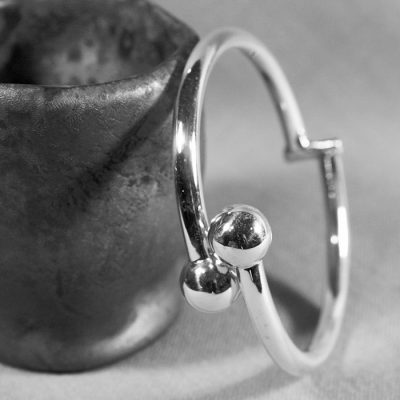 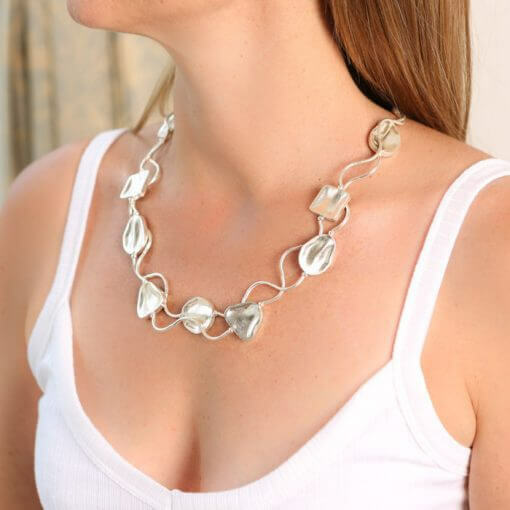 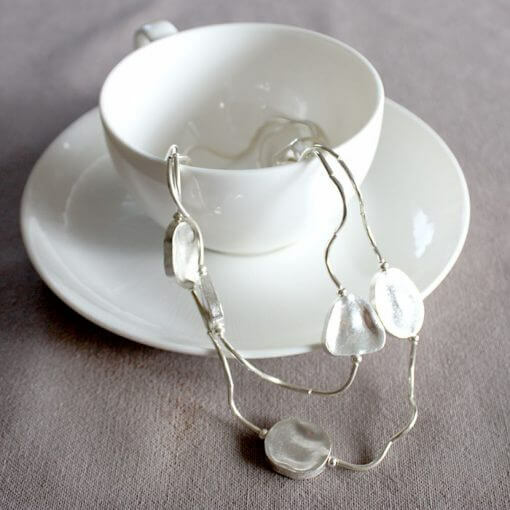 All our jewellery is 925 Sterling Silver, this necklace has been hallmarked by the London Assay office.